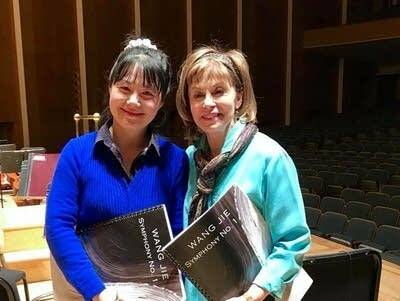 "If you find yourself elated by my music," composer Wang Jie says, "the credit goes to the muses. If you hate it," she continues, "well, it's only 15 minutes long." On this weekend's Performance Today, a composer who calls herself "part cartoon character, part virtuoso." We'll hear the Symphony No. 1 by Wang Jie.